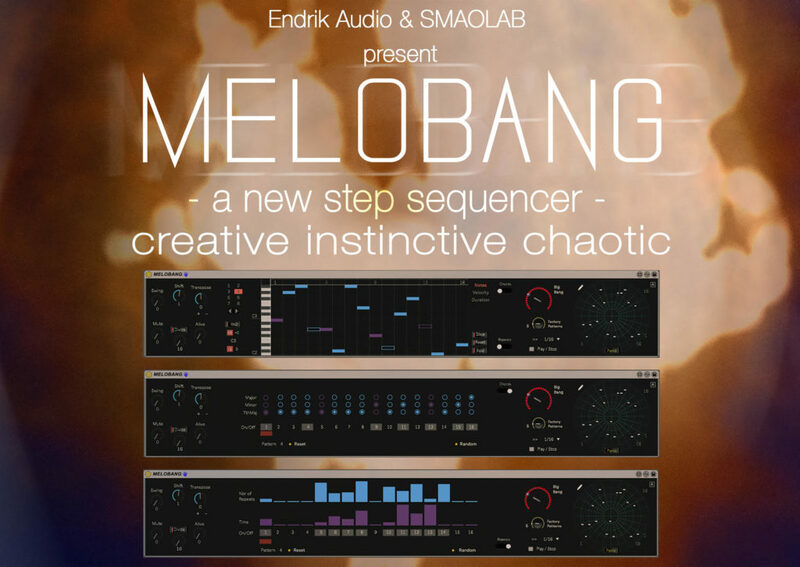 MeloBang is a step sequencer tool made for creating new melodies in playfull way. On top of proposing normal step sequencer functions, it proposes several functions to re-order the notes orders to create new spicy, nice & groovy melodies ! Last version: V1.0/ 5th March 2019. You can save up to 8 different sequences. Swing mode (we improved Roger’s algorithm 🙂 ). Slice mode, you can in few seconds re-order any audio loop. 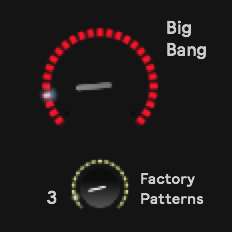 MeloBang is a creative tool made for creating new melodies in playfull way, it also can be used in live act to add improvisation into your music. A Radar ? Re-arrange steps order ? This plug in aims at proposing a new way of creating and sequencing melodies. Normally a sequence goes from 1 to 16 steps. When you play this sequence, the step orders are : 1 followed by 2 then 3… etc. until 16. Now, let’s imagine that you could re-arrange this order. For instance, why not playing steps like 1,2, 5,6, 1,2, 5,6 ? 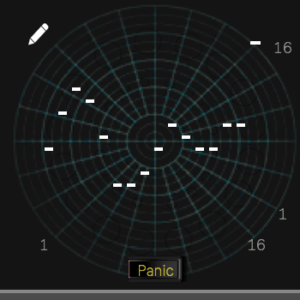 In case of an emergency, a Panic button has been added to re-initialise the melody back to its orignal state. You are safe ! We added a Link mode : you can play the whole 8 sequences at the same time. As a consequence, MeloBang becomes a DrumBox. In Simpler, click on ‘Slice’ too. If you click on ‘Link’, MeloBang will play the whole 8 sequence at the same time. Rather, we decided to set a promotion period (nice price !). We hope you will understand: providing good quality plug-ins matter.